Readers of this blog will probably be interested in a new policy paper authored by a group of (mostly) Queen’s University Belfast academics, arguing for an ‘EEA Option’ to accommodate the circumstances of Northern Ireland in a post-Brexit United Kingdom. This is the first and only such proposal that conforms to the parameters recently outlined in the UK Government’s White Paper for future UK-EU relations (though a similar idea has been proposed by the Scottish Government for Scotland). In addition to several distinguished academics, the paper’s authors include Brian Doherty, formerly of the Departmental Solicitor’s Office of Northern Ireland, and John Temple Lang, formerly of the Legal Service of the European Commission. In other words, the paper is a serious proposal – made by serious people – and ought to be taken very seriously. As the policy paper notes, the negative consequences of Brexit are likely to be especially acute in Northern Ireland. Northern Ireland is geographically detached from the rest of the UK and it is the only part that shares a land border with an EU member state. Consequently, a much denser web of economic ties connects Northern Ireland to the Republic of Ireland than exists between any other part of the UK and any EU member state. These ties go beyond trade to encompass the movement of labour and capital, as well as cultural and social affairs that include higher education and health care. Northern Ireland is also a post-conflict society; any major disruption to the status quo has the potential to destabilize the hard-won peace. What is more, the peace settlement is buttressed by bilateral treaty relations between the UK and the Republic of Ireland and North-South institutions, all of which are facilitated by (though not formally predicated upon) the UK and Ireland both being EU member states. In light of these special circumstances, the paper argues (I think persuasively) that the Government’s plans for a ‘hard Brexit’ would be especially disruptive for Northern Ireland and so an ‘EEA Option’ should be pursued to mitigate the damage: the UK would leave the EU but Northern Ireland (and not the rest of the UK) would remain part of the European Economic Area. Thus, like Iceland or Norway, Northern Ireland would continue to be part of the Single Market, with its associated freedoms of movement, but it would no longer be subject to the direct application of EU law (including the jurisdiction of the Court of Justice), it would fall outside the Common Agricultural Policy and Common Fisheries Policy, and it would cease to be part of the Customs Union. UK citizens in Northern Ireland would also lose most of the rights associated with EU citizenship (though some of these are currently incorporated via the EEA Agreement). Naturally, as the policy paper acknowledges, the EEA Option raises questions about how and where to police the movement of people and goods between the Republic of Ireland, Northern Ireland, and the rest of the UK. But the paper suggests that these questions are manageable and, given the economic case for the EEA Option, well worth the trouble. The economic case for the EEA Option is indeed a strong one. The proposal will be welcomed by the business community in Northern Ireland, who generally agree that preserving the Single Market on the island (and thereby preventing the return of a hard border) is an economic imperative. The political scene is also likely to be receptive; the only official statement from the Northern Ireland Executive on post-Brexit plans concurs that minimizing disruption to the economic status quo should be a key priority moving forward. To be sure, the EEA Option alone cannot mitigate all the political or symbolic consequences of Brexit for Northern Ireland. One of the reasons for the relative success of the Good Friday Agreement is that it takes some of the edge off the self-determination dispute that fueled violent conflict. Northern Ireland remains a part of the United Kingdom, but the question of sovereignty has lost some of its bite; Irish nationalists are secured a stake in the governance of Northern Ireland through devolution and inclusive power-sharing, they are entitled to identify as Irish (and hold both British and Irish passports if they like), and quasi-confederal institutions facilitate governmental cooperation with co-nationals to the South. In short, to the extent that the Agreement allows Irish nationalism to share political space with British unionism on relatively equal terms, the goal of Irish reunification becomes a less urgent concern (at least for some). The way in which the EU and European identity complement or underpin these arrangements has often been ignored or gone unstated. The EEA Option document rightly draws attention to these (e.g. the North-South institutions), while emphasizing how the return of a hard border between North and South would undermine existing all-Ireland economic, social and cultural connections. But it is not just that the Single Market facilitates a softer border between North and South. EU citizenship and associated institutions give Irish nationalists in Northern Ireland an array of avenues for participating in broader fora that (happily for them) circumvent British institutions. Voting in direct elections for the European Parliament is one obvious example of this, but there are also more personal opportunities (such as the Erasmus Programme) that allow Irish nationalists to take part in a common European ‘space’. These avenues are probably especially important for more ‘cosmopolitan’ Irish nationalists who, though desiring of institutional conduits for their Irishness, are less interested in thicker ‘ethnic’ conceptions of Irish nationhood and often have complicated feelings about Irish republicanism and its ugly legacy of violence. For these nationalists, being European is both an alternative identity to being British and an alternative to more parochial or militant strains of Irish identity. In the ‘hard Brexit’ scenario, the future of Irish nationalists in Northern Ireland becomes decidedly more UK-oriented and, consequently, questions of sovereignty and Irish reunification may well regain some of their infamous bite. Ironically, Sinn Féin may benefit most from this scenario (and their success in the latest Assembly election bodes well for their electoral prospects). But everyone else in Northern Ireland probably loses. ‘Softer’ Irish nationalism loses support (or is forced to become ‘harder’); unionism loses its security (because Irish nationalists become more interested in Irish reunification); the ‘others’ (i.e. those who do not identity as unionist or nationalist) lose their voice because the big ‘constitutional issues’ repolarize the electorate along ethno-national lines. And surely none of this is good for Westminster and Whitehall, who are likely to have their hands full fending off an emboldened Scottish independence movement. Much of the economic damage of Brexit to Northern Ireland, and at least some of the political costs, could be mitigated by the EEA Option. But, as the paper frankly acknowledges, the EEA Option is certainly no substitute for EU citizenship. Of course, many people in Northern Ireland would still have the right to hold Irish passports and thus retain some of the benefits of EU citizenship. Nevertheless, as the paper suggests, more thought should be given to supplementary arrangements (in education for example) to allow people in Northern Ireland to continue to participate in European programmes and be meaningfully European in the context of Northern Ireland. As far as I can see, the EEA Option provides the only feasible foundation upon which such arrangements might be built. 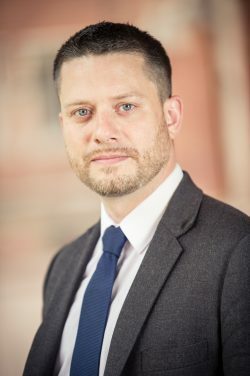 Alex Schwartz is an Associate Fellow of the Senator George J. Mitchell Institute for Global Peace, Security and Justice, and Lecturer at the School of Law, Queen’s University Belfast. Did anyone ask the Irish what do they want? This entry was posted on March 27, 2017 by Constitutional Law Group in Europe, European Union, Northern Ireland, UK government and tagged Brexit, European Economic Area (EEA).